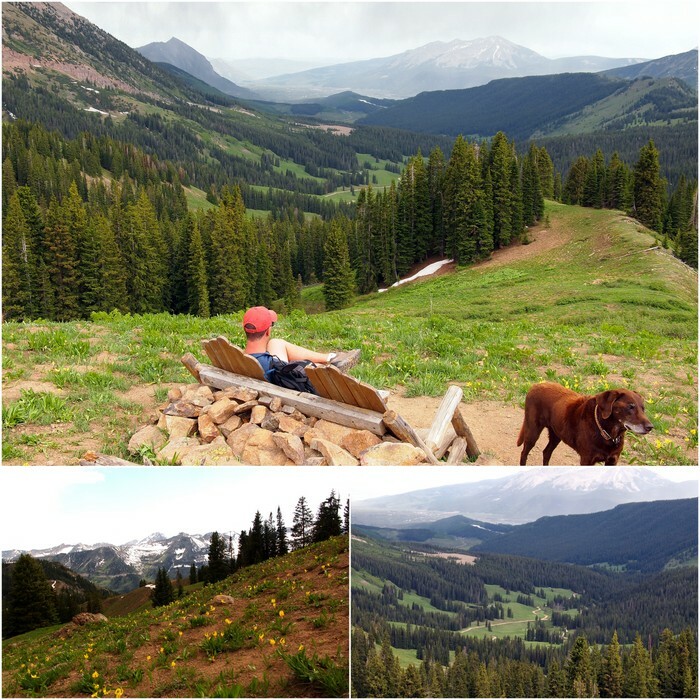 We’ve managed to get in two good hikes since our arrival in Crested Butte. Not as many as we would have liked, but you know…things get in the way. First there was the on and off rain all day Sunday, complete with a violent thunderstorm and some hail thrown in for good measure. Then yesterday I came down with the same sickness that Tim had last week. It’s some sort of stomach-head thing that pretty much wiped me out all day. So we didn’t end up going on our planned hike. Luckily we’ll be around until Sunday, which leaves us plenty of time for farther exploration. In fact, this afternoon we have a trip up to Lake Irwin planned. Pretty much everyone who heard we were coming to Crested Butte recommended Lake Irwin, so I am expecting it to be good. More on that later though. 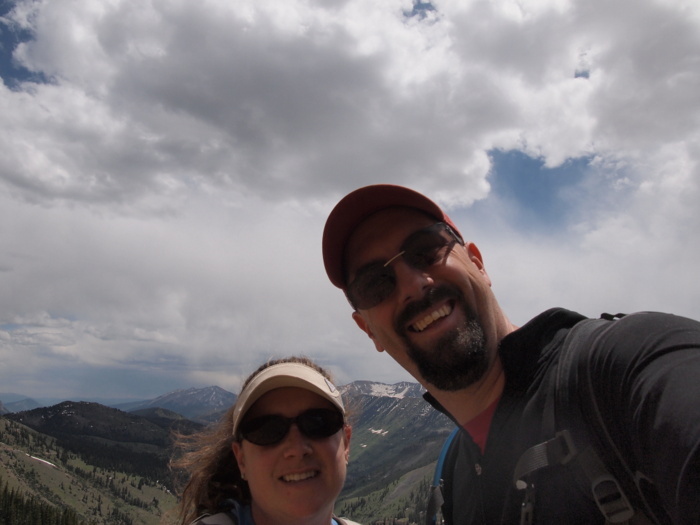 Right now I’ll tell you about the two hikes that we have been on. If you continue up Washington Gulch Rd. past our campsite the road turns narrow, steep and twisty. 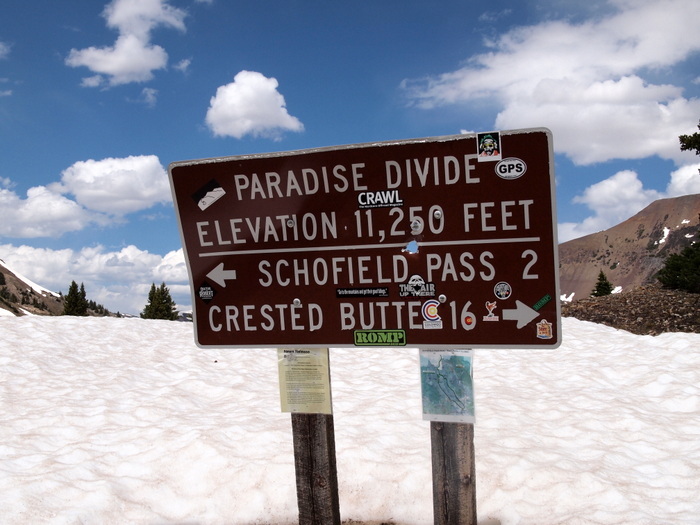 Eventually you will reach Paradise Pass, and then a few miles farther Schofield Pass and Emerald Lake. We knew at such a high elevation the road was sure to be covered with snow at some point, but we decided to drive up as far as possible. We made it within almost a mile of Paradise Pass before the snow pack on the skinny road forced us to park and walk the rest of the way. 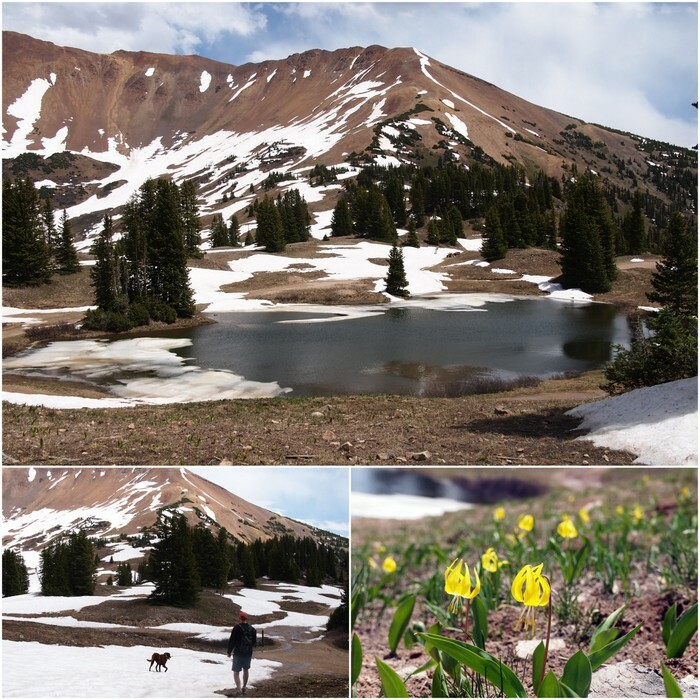 At the top of the pass we found a tiny pond filled with melting snow, some hardy yellow wildflowers, and patches of snow everywhere for Phineas to enjoy. We trudged through the snow (in our shorts) for a bit before finding a trail that followed along the side of the mountain. After following it for a short distance the trail kind of disappeared, and since we were walking on loose rock with a steep drop off on one side we decided to stop and turn around. From our stopping point we had an awesome view of the valley below. For our next hike we again headed up Washington Gulch Road. 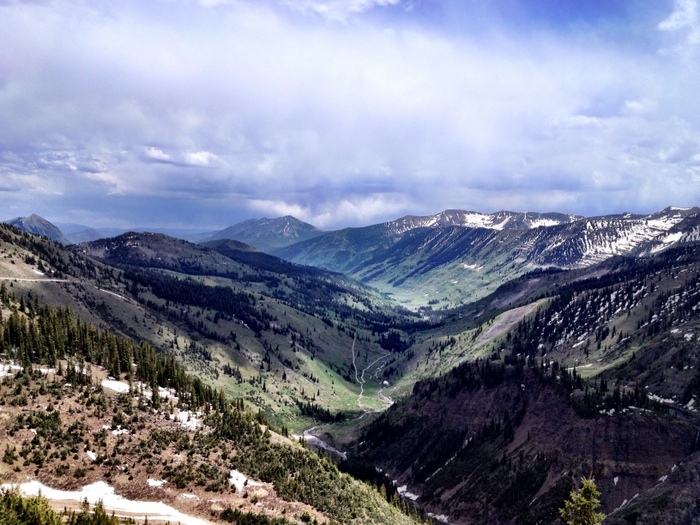 This time we only traveled a mile or two past our campsite to the Washington Gulch Trail-head. 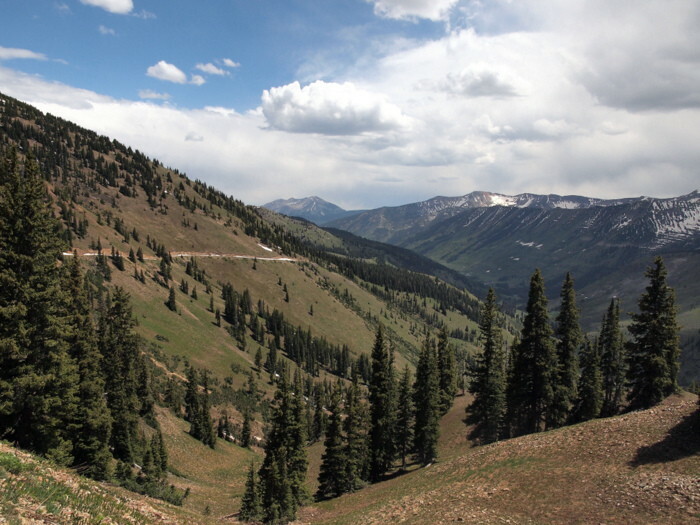 The entire trail is around five-miles and goes from Washington Gulch Rd. over to the Gothic Valley. We didn’t make it the entire way, instead turning around when a dark cloud hoovered overhead threatening to get us wet. We’ve noticed a pattern up here in the mountains. Nearly every day starts off with a perfect blue sky and then sometime in the afternoon big puffy clouds roll in. Eventually these puffy clouds turn dark and threatening. Most days we have seen rain off in the distance, but only one day has it actually rained on us. The smart thing to do would be to go out in the morning, but since Tim works during the day, we have to wait until late afternoon. So far so good, but one of these days we’re sure to get wet. It was the perfect spot for a bench. We thank whoever put it there! I bet it’s amazing here in July! We’re already thinking that if we come back next year it will be late July so we can get more of a wildflower show. Hi Ingid. 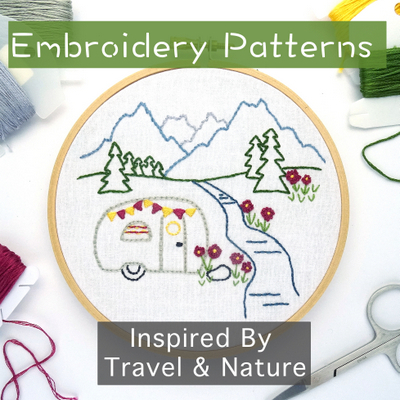 I have lived in CB for over 20 years can give you some beta about camping (I just launched a camping gear kit rental company with another long term local). If you have ATT you will not get much internet once you leave the town of CB. Sprint and Verizon are much much better with Verizon being the best. We are checking for connections soon. If you want to check in we will eventually report on this, look for us on facebook at yawannaGOcamp (caps are needed). 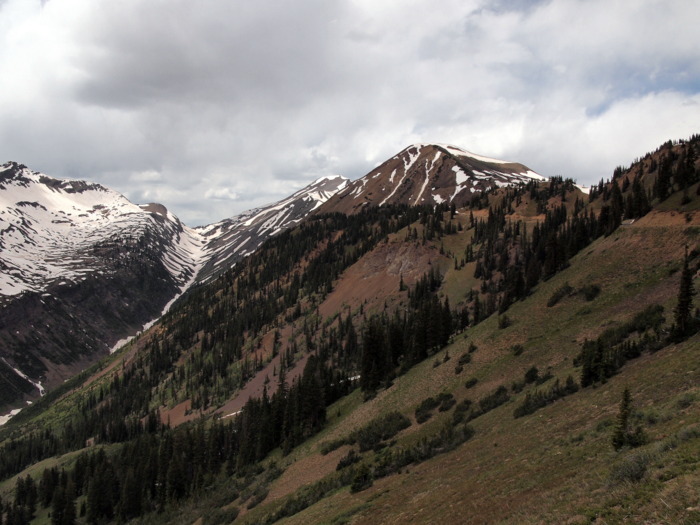 PS – we have a TON OF SNOW in the high country still, it looks like February upcountry right now. Kebler won’t open for another couple of weeks, and the camp host in Taylor reports that Irwin and Lost Lake campgrounds won’t open til July 1 this year. Crazy. I am posting a camping guide on our website and it should be available really soon. See you this summer! Valerie from YawannaGO Camping! 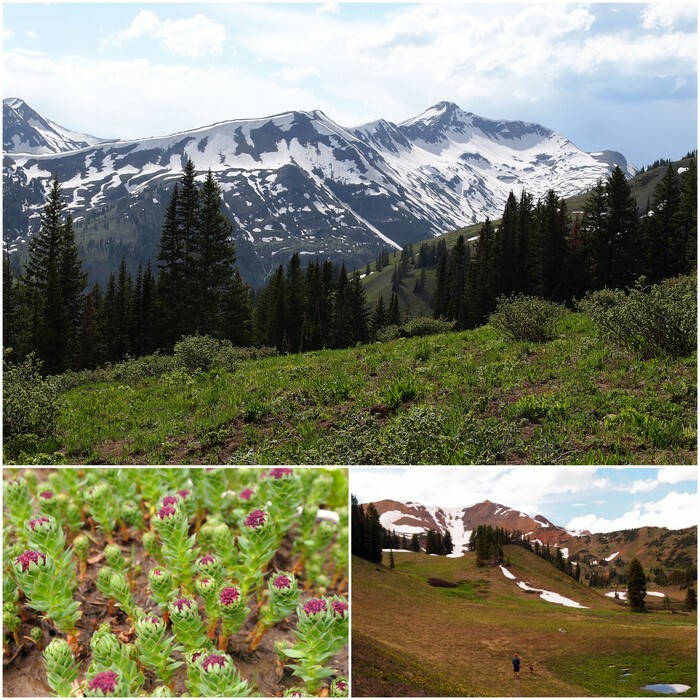 I’ve been totally digging your posts on Crested Butte. 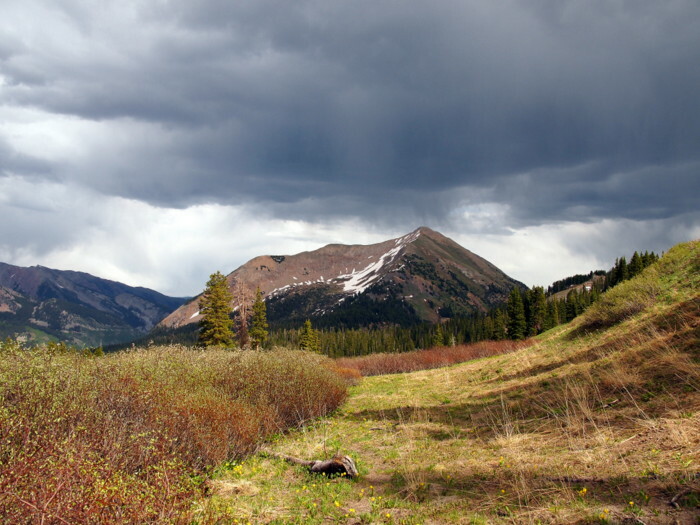 It’s an area we haven’t been to and you’ve peaked my interest to go back to CO and spend another summer there. Gorgeous shots too! 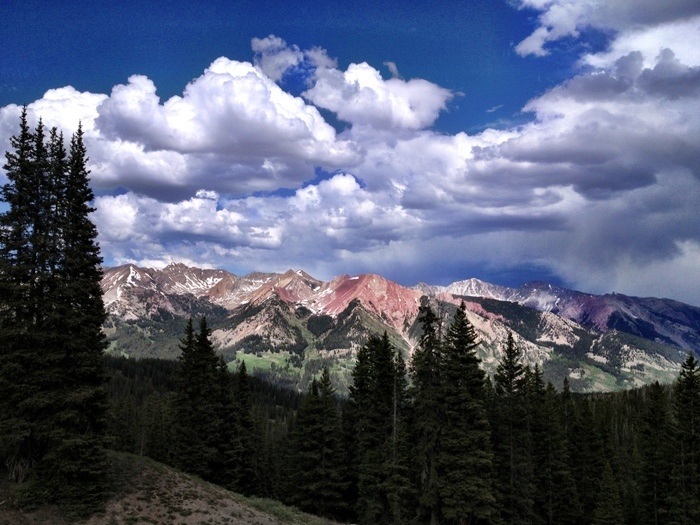 Crested Butte is truly gorgeous! And yes, summer in Colorado has been pretty great. So great that we are already thinking of returning next summer. 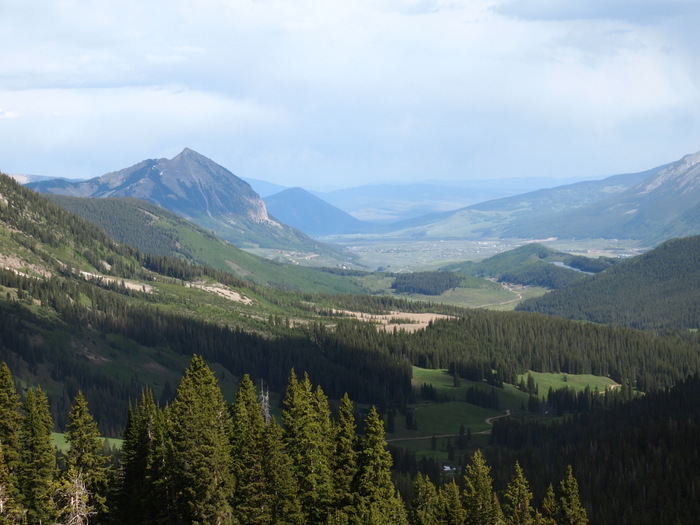 I grew up 50+ years ago in Gunnison and used to hike the areas above Crested Butte when Crested Butte was a dying coal mining town, before the skiing development. There is a little hanging lake above Copper Lake that, at that time, was full of native cutthroat trout. On the 4th of July we had to wait for late morning so the sun would melt the skin of ice off the lake so we could fish. This little late is visible on Google Earth at 39.00.44 N – 106.56.59 W elev 12136 ft. You would enjoy the hike up there and the view from the rockslide below the lake. 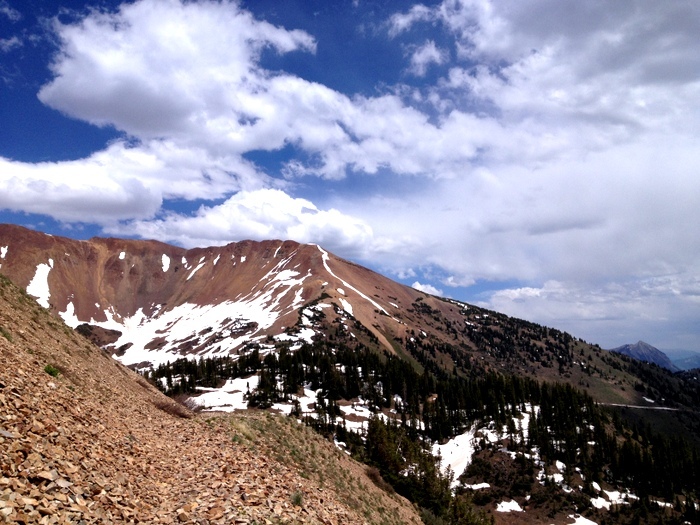 It’s a tough hike – this little lake is 1000 ft. above copper lake.